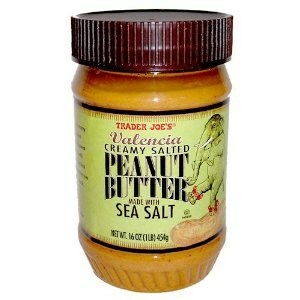 The Great Peanut Butter Recall of 2012 started relatively small, with Valencia peanut butter sold at Trader Joe’s. Thirty individuals in nineteen different states became ill from salmonellosis, and the Food and Drug Administration and Centers for Disease Control and Prevention identified that product as the likely source of the infections. Sunland, the company that actually manufactures peanut butter sold under the Trader Joe’s label, took the precaution of recalling other products manufactured on the same product line during the same period. That includes products sold under Sunland’s own label, as well as 15 other store and niche brands. How do you know whether you have recalled nut butter? Affected products include natural peanut, cashew, and almond butters, as well as tahini. The jars will have a “Best before” date between May 1, 2013 and September 24, 2013. You can get the very latest list of specific products from Sunland’s website, as well as from the FDA. Customers who have recalled products should return them to the store where they were purchased, or contact the company. If you have questions or concerns, you can contact Sunland at (575) 356-6638 between 8 AM and 5 PM Mountain time, or Trader Joe’s at (626) 599-3817 between 7 AM and 5 PM Pacific time. Large contamination incidents that begin with one raw ingredient and one contract manufacturer and fan out across dozens of other companies and brands show how terrifyingly intertwined different parts of our food system can be. Terrifyingly, deliciously intertwined. Previous Canadians Apparently So Desperate For Cheap Cheese They’re Smuggling It In From U.S.